SecuritySolutionsWatch.com: Thank you for joining us today, Paul. Please give us an overview of your background and your role at BP Solar? May we also have a brief history of BP Solar? Paul Garvison: I've been with BP Solar for over 10 years and worked in the photovoltaics industry for 28 years. I guess that qualifies me as an old timer! During that period I've seen the PV industry transition from what were very small scale off grid industrial applications to large scale grid tied plants as well as expanded off and on grid residential usage. My role has changed over the years from engineering to project management to business management and now to business development. BP Solar merged with Solarex Corporation in 1999 as part of the merger of BP and Amoco. Solarex was established in 1973 as a spin-off of Comsat Labs. BP formed BP Solar in 1980. BP Solar presently has 4 major factories and more than 2200 employees globally. BP is committed to the growth of the solar business and has announced expansion plans for 3 of its manufacturing facilities in the last year - Madrid, Bangalore and Frederick. SecuritySolutionsWatch.com: One will read on BP.com that, “Although it will be a number of years before fossil fuels run out, we believe that it is appropriate to look at producing energy in different ways that may have less impact on the environment. The power industry today is responsible for over 40% of man-made Greenhouse Gases, and we believe that there are options available today which can help reduce the amount of carbon dioxide that is emitted in the power sector.” Please give us an overview of the alternative energy businesses that BP is involved with? Paul Garvison: BP was one of the first major energy companies to publicly acknowledge the need to reduce carbon emissions. BP Alternative Energy was set up in 2005 to make it happen. In a short time, we’ve made a real difference – and over the next 10 years we aim to invest $8bn in solar, wind, hydrogen and natural gas power technology and projects that will help reduce carbon dioxide further. SecuritySolutionsWatch.com: We understand that BP Solar is one of the top solar manufacturers in the world and has been growing this business since the 70s.” What are your technology and competitive advantages? Paul Garvison: I see BP Solar's key competitive advantages as three-fold: Technology, Reliability and Performance, and Brand. Technology: Solarex invented the poly-cystalline casting process in 1977. The majority of solar cells made in the world today use poly-crystalline silicon as the substrate material. BP Solar continues to lead in the development of intellectual property in this field. Most recently with the announcement of our Mono2 process, BP Solar is able to produce near-monocrystalline properties in lower cost cast silicon wafers, resulting in enhanced efficiency solar products without increasing cost. Reliability and Performance: To be cost effective, solar plants must first and foremost be reliable and their performance predictable over many many years. BP Solar's 30+ year's experience in PV module and system technology gives us a clear advantage over more recent entrants into the market in assuring the long term reliability and performance of our products. BP Solar PV systems that were manufactured over 20 years ago are still producing reliable solar energy. BP Solar is a name you can trust, and we stand behind behind our products. Brand: As a market leader for over 30 years, BP Solar has a global market reach and knowledge base, and established sales channels in all key market sements and geographies. We are backed by the BP brand, which is internationally recognized for leadership in its progressive and green agenda. We recognize that our brand gives us unique access to commercial opportunities not available to many of our competitors. SecuritySolutionsWatch.com: What are the main target markets for BP Solar what is your perspective of the market drivers for solar solutions at this time? Paul Garvison: Two of BP Solar's key targets are the rapidly growing grid tied markets in Europe and North America. Within these key geographies, the markets are further divided into residential and large commercial segments. Residential PV systems are typically in the range of 3-10 kW in size, while the large commercial market typically involves systems in the range of 500kW to 2MW. This range of sizes shows the flexibility of solar to meet a very broad range of electrical power needs. In both cases the energy systems are typically located on building rooftops, directly feeding the host sites electrical load and local power grid. These market areas are growing very rapidly, fueled by higher electricity prices, increased awareness of environmental consequences of usage of fossil fuels, and access to improved mechanisms to finance systems, among other factors. In addition to these rapidly growing grid tied markets, BP Solar continues to be a key player in the off grid markets globally, bringing clean power to people in isolated villages as well as for remote industrial applications. SecuritySolutionsWatch.com: Please tell us about your success stories with Wal-Mart and The Home Depot. Paul Garvison: These programs represent two of BP Solar's major thrust initiatives in the commercial and residential markets in North America. BP Solar Home Solutions first became available through The Home Depot in select regions in 2004 with a goal of making it simple for home owners to generate their own clean solar power. This program has grown to become the foremost retail program for solar in the United States and continues to expand to areas of the country, such as Denver and Boulder, Colorado and Austin, Texas where incentives have made solar electric power more accessible and affordable to a wide range of consumers. Earlier this year, BP Solar was awarded a bid to develop 4.3 megawatts of solar energy systems for 7 Wal-Mart Stores in California. Under this agreement BP Solar will sell all of the energy produced by the solar modules as well as operate and maintain the systems. Installation of these systems is set to begin later this year. SecuritySolutionsWatch.com: Congratulations on the recent announcement regarding the expansion of your Frederick Maryland facility and the contribution to the Maryland Solar Schools Program, “…a $97 million expansion project that will further bolster the facility’s output of solar energy products. Already the largest fully integrated solar plant in North America, the plan is to nearly double the current casting and sizing capacity to approximately 150 MW and will create approximately 70 new jobs. “ Care to elaborate on this milestone for our audience? Paul Garvison: Sure. As I mentioned previously, one of BP Solar's core strengths is in the area of production of the poly-crystalline silicon substrate material used to produce solar cells. This casting and wafering technology and production base is located at our Frederick MD facility, making it the largest fully integrated solar manufacturing site in North America. The site was initially opened in 1982 and features a 200kW solar array, the largest in the world at that time. The present round of expansion will nearly double our casting and wafering capacity with a 140,000 square foot building addition. The new building will be LEED certified and will feature several green aspects including extensive on-site water recycling, a green roof, and additional integrated rooftop photovoltaics. SecuritySolutionsWatch.com: Are the any other projects in the US market you’d like to mention? Paul Garvison: In addition to our initiatives in the key residential homeowner and commercial markets I would like to mention an exciting new market for solar: homebuilders. This market is emerging first in California where the uptake of solar by production homebuilders is accelerating rapidly. Builders are finding that even in a soft residential market solar enhances sales significantly. Builders are combining energy efficiency and environmentally sensitive design with solar to offer their customers a green community lifestyle with dramatically reduced energy costs. This developing market has also fueled product innovation, generating exciting new solar module designs which integrate into the architecture better than ever before, effectively becoming part of the roofing system of the new homes. SecuritySolutionsWatch.com: Let’s turn to the international market for a moment. We understand that the projects completed by BP Solar are already bringing power to thousands of people in isolated villages. Please give us an overview of the international side of BP Solar. Paul Garvison: The lack of electricity deprives "off-grid" communities of growth and development opportunities. Solar products and services can be a highly effective means of meeting essential needs such as lighting, telecommunication, fresh drinking water and medical refrigeration. BP Solar is an active participant in many large scale "off-grid" rural electrification projects around the world. I'd like to highlight just one major project in the Philippines. The Solar Power Technology Support Project (SPOTS) is the largest rural solar project in the world in terms of funding and geographical spread. It is the result of long term partnership between the governments of Spain, The Philippines and BP Solar. The first phase of the project was completed in 2005 benefiting the first 250 communities and 500,000 people. Phase 2, currently under implementation, is expanding coverage to additional 280 communities, where some 600,000 villagers will be equally benefited by the end of 2007. SPOTS uses photovoltaic energy systems in providing power for use in lighting streets, homes, schools, Barangay (district meeting) halls and health centers. The clean electricity from solar will benefit Philippine rural communities in many ways: improving security, increasing activities in the community centers and increasing livelihood opportunities through productive applications of solar. 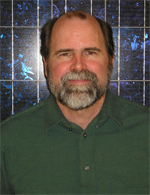 SecuritySolutionsWatch.com: We understand that you will be participating in Solar Power 2007. How about a preview of the main themes you’ll be discussing? Paul Garvison: I am a member of the panel discussing "off-grid" solar markets and applications both in the US and internationally. The key message here is that the "off-grid" solar markets continue to expand, albeit not explosively as we are currently seeing in the "grid-tied" area. Solar is cost effective in these markets now, without need for subsidies, and in many cases is the only sensible choice as a source of power for these applications. By participating in these projects, BP and BP Solar aim to contribute to human progress and to overcome the perceived trade-off between global access to heat, light and mobility and the protection and improvement. SecuritySolutionsWatch.com: Solar technology is improving and costs are coming down but tax incentives are still needed to develop solar projects. What are the current tax incentives in the U.S. Market for solar projects? Paul Garvison: At this point, despite continuous efficiency improvement and cost reductions, PV energy still costs more than conventional brown power in most grid tied markets. So, these markets for solar are driven by the availability of incentives, which take a variety of forms in different locations. These include federal and state tax credits, cash rebates based on kW installed, payments based on expected or actual energy (kWh) generated, and renewable energy credits (REC's) which can be traded with generators of brown power to meet state renewable portfolio standards. A major element of BP Solar's strategic agenda is to lead the drive toward solar cost parity with grid power, with a focus not only on reducing the cost of the PV technology itself but also on the "transactional costs" required to implement solar power systems. We expect to see solar at parity with grid power in certain markets within the next 5-10 years, eliminating the need for incentive programs in the longer term. SecuritySolutionsWatch.com: Are there any particular strategic relationships that you’d like to mention? Paul Garvison: In addition to the relationships with The Home Depot and Wal-Mart mentioned above, BP Solar has recognized the unique needs of new homebuilders and the evolution of PV products into roofing materials. To address this, BP Solar has teamed with Old Country Roofing in California, one of the largest roofing companies in the state, to create one stop shopping for our homebuilder customers, assuring them of full roof warranties and a turn key experience as they begin to integrate solar as a standard feature of their communities. SecuritySolutionsWatch.com: What resources such as White Papers and Case Studies are available for dealers, installers, end-users? SecuritySolutionsWatch.com: Thanks again for joining us today, Paul. Are there any other subjects you’d like to discuss? Paul Garvison: I'd just like to mention again that BP Solar's goal is to provide clean, renewable energy at or below utility electricity rates. This is also the stated objective of the US Government for solar photovoltaics. As part of the Solar America Initiative, BP Solar has been selected by the US Department of Energy as one of 12 companies to lead teams in full scale efforts to reach this objective by 2015. Our team is comprised of 12 companies and 4 universities representing all portions of the solar value chain from rocks to rooftops. We are currently launching this multiyear program, and are proud of the honor of participating in the Solar America Iniative, and are confident that we can meet the program's aggressive objectives.